Follow the steps below to reset the ink levels in the Canon PIXMA MX451 printer, if you have any other questions, type a comment if you have any other questions. Reset the ink levels on a Canon printer all that is is a simple process, just that we must not confuse the restoration of the pads by simply resetting ink levels. Just you need to reset the ink levels, when the printer has printed the number of pages a cartridge factory brings, for example this printer cartridge that yields used for about 220 pages. When it reaches this number of pages the printer will present a message that the ink levels are depleted and need to change the ink cartridge. When we restore the level of ink in Canon printers, we only accept continue printing with low ink cartridges ink, although we really know that they have sufficient ink. For example a printer with continuous ink system not only spend their ink print about 200 pages, or when we filled in the cartridge, but the printer has printed and the number of pages for which comes from the factory, and that is why says the ink cartridge is empty. 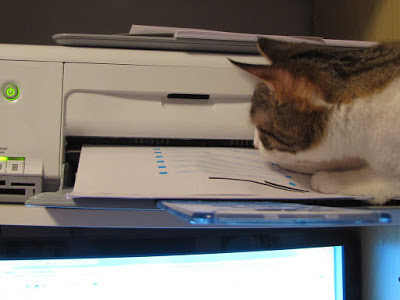 The first thing to do is hope that the printer is showing the error, when it appears on screen of the computer and the printer display, marking an ink cartridge. Press and hold the stop button stop / reset at least ten (10) seconds, this is a triangle within a circle. The printer will start a process like printing, we end this process and if the printer has a paper queued print it, if you can not send to print. The message will reappearmaybe in a time when printed at least the same number of pages, you should know that this will not solve the cartridges show the lowest level, but the printer continues printing if you want to climb again estimates of remaining ink cartridge must replace with new ones. If you have comments or clarification write a comment below, remember that your comments help improve our publications and solve future problems.